Good. [ No Hassle 30 Day Returns ] [ Writing: SOME ] [ Edition: second ] Publisher: Houghton Mifflin Pub Date: 4/1/2001 Binding: Paperback Pages: 384. Fine. 0261102737 Ships promptly from Texas. Fair. 0395257301 Ships from Tennessee, usually the same or next day. I tried reading this when I was a boy, after sweating through 'The Lord of the Rings" for the first time. I somehow contracted "African Sleeping Sickness" every time I open the book, so I cast it to the four winds and went out for little league instead. My wife says that I'm all grown up now and can even drink out of a big glass (unless it's grape juice- then I still have to use a sipper cup), so I ordered The Silmarillion and tried again. What a joy to read more Tolkien and about the origins of Middle Earth. ferver of a real nerd! This may not be for everyone because it's not like The Hobbit or The Lord of the Rings, but it IS Tolkien and I really enjoyed it. I left off reading it not far into the book. Perhaps it gets better as it goes, but it was difficult for me to get started and, rather than continuing to wade, I returned to the shore. This book was a hard read but did give some good story line to the Lord of the Rings. Spend some time and you'll enjoy. j.r.r. tolkien has always been my favorite author and this is his best work yet. i recommend this to any one that likes their fantasy the old fashioned way. 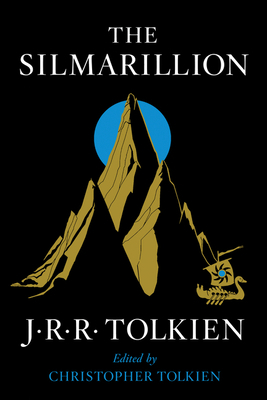 This is a foundational book for the Tolkien fan, young and old, to fully understand and comprehend the unlying history of how Middle Earth has evolved. It is not meant to be a theology book, but a myth which will show the reader that God is the all good creator, evil exists, and good conquers evil.